Hi guys! This is a throw back Thursday post. 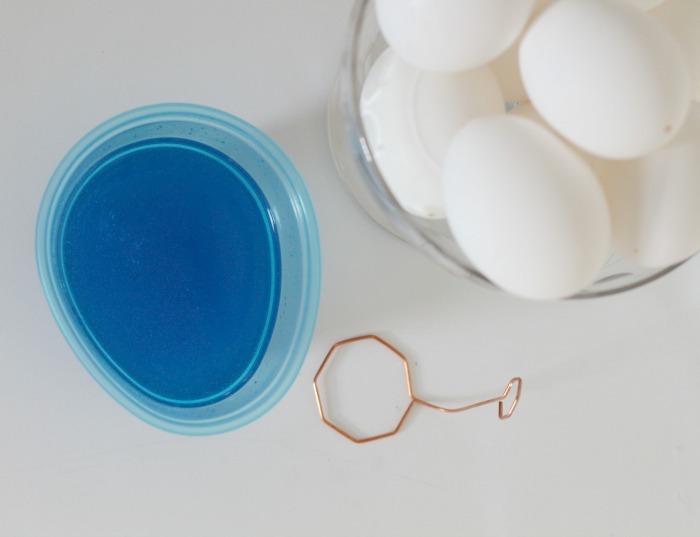 I decided to dig this up from a couple years ago and publish again because this DIY craft is timeless! This weekend, Catherine and I had a blast decorating Easter Eggs. I remember doing this when I was a child, and I love making these memories with her. I think that we managed to decorate 24 eggs in total and I’m not sure if my lungs could have taken anymore. Does anyone “blow out their eggs?” We poke a hole in each end of an egg and literally blow out the contents so we can save the decorated eggs indefinitely. 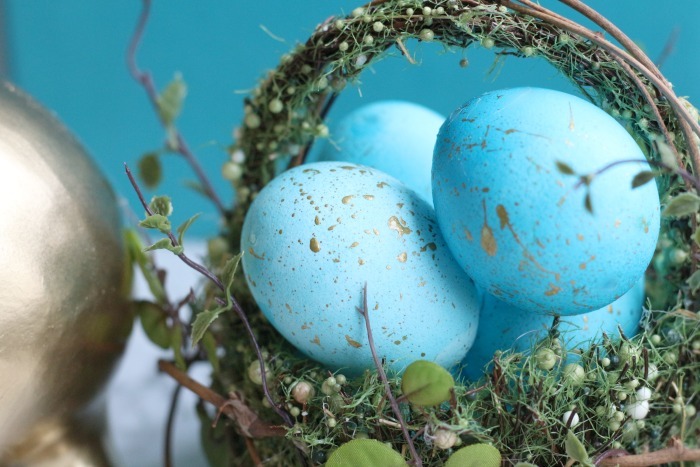 They are very fragile, however, you can protect the eggs by spraying them with a clear sealer that can be found in most hardware stores. 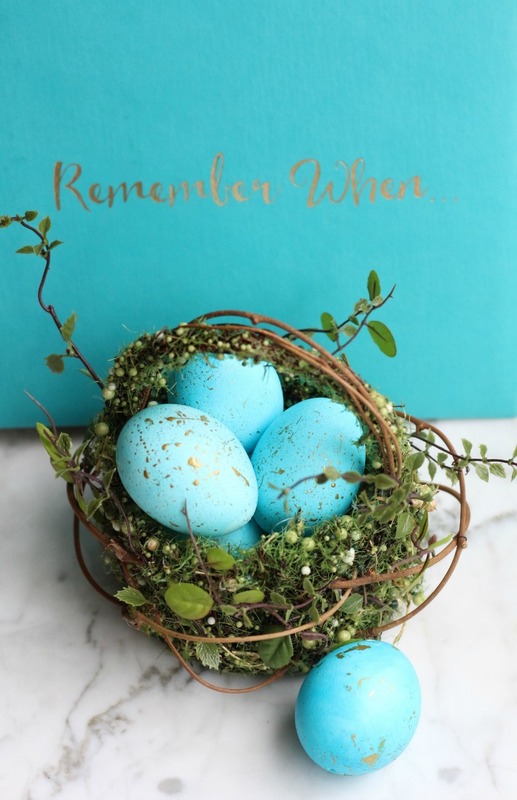 Below are the step by step instructions for creating these gorgeous Easter Eggs. Before you begin, put on a pair of plastic gloves. 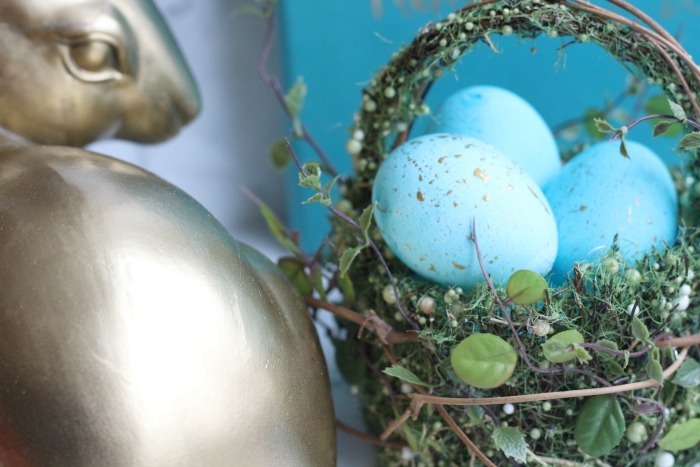 The dye will stain your fingertips and you will need to pull back the bristles of a brush that is loaded with gold paint to flick the paint onto the eggs. 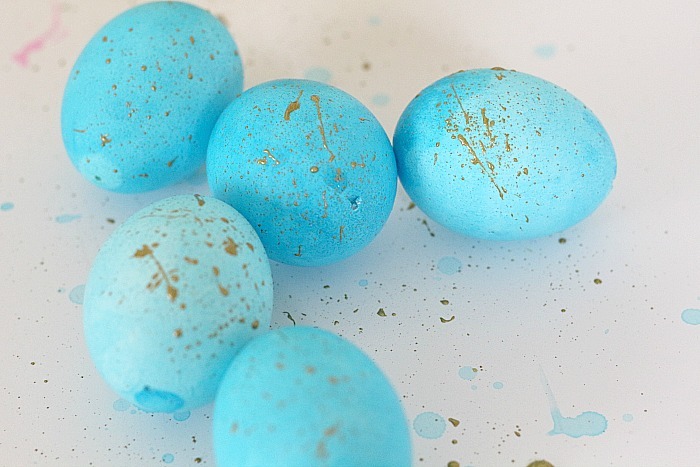 For the Gold Speckled Easter Eggs, we dyed the eggs light blue. 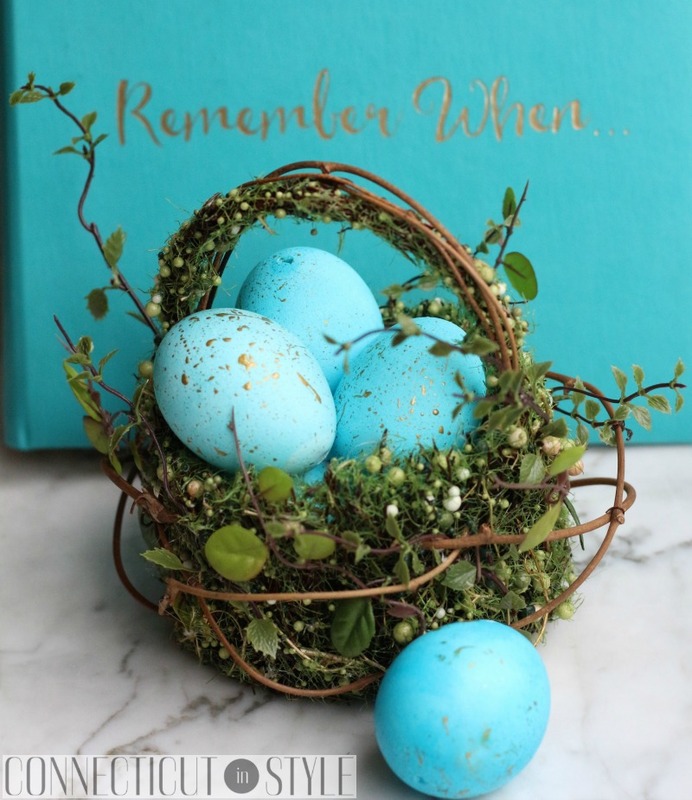 I’ve already mentally committed to a blue, green and white Easter Brunch tablescape and these eggs will be part of the design. 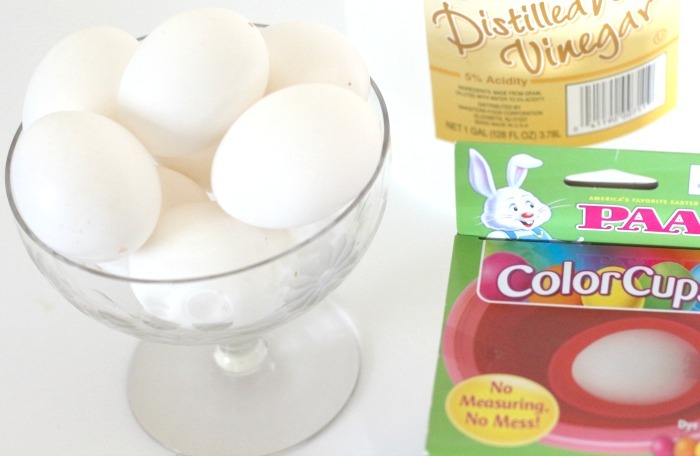 We used a Paas Color Cup Easter Egg Kit that are available at most supermarkets and followed the directions. For the gold flecks, I used a small jar of gold paint and a short bristled paint brush. Once the eggs were dyed and dried, I dipped the brush into the gold paint and pulled back the bristles to let the paint fly! I held the brush about 4-6 inches away from the eggs to achieve a speckled look. 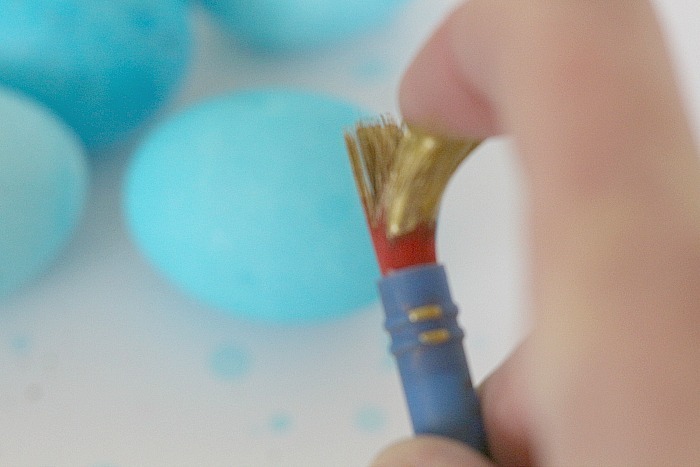 Tip: speckle the eggs in a protected area, the paint can fly quite far. I’m so thrilled with how these eggs came out! So pretty and as easy as can be. A vibrant photo album from my friend Jennie to capture the memories, thanks JJ! 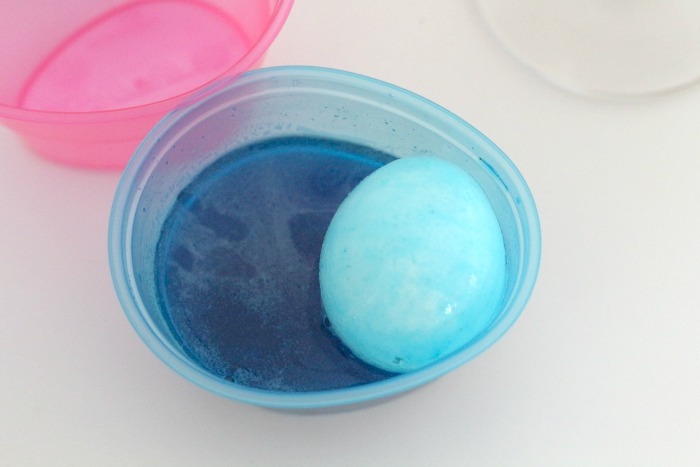 The longer you let the egg stay in the dye, the darker it will become. Be sure to rotate the egg every couple of minutes so you don’t end up with an egg that is darker on one side. Dip the paintbrush in gold paint and pull the bristles back to let the paint fly! 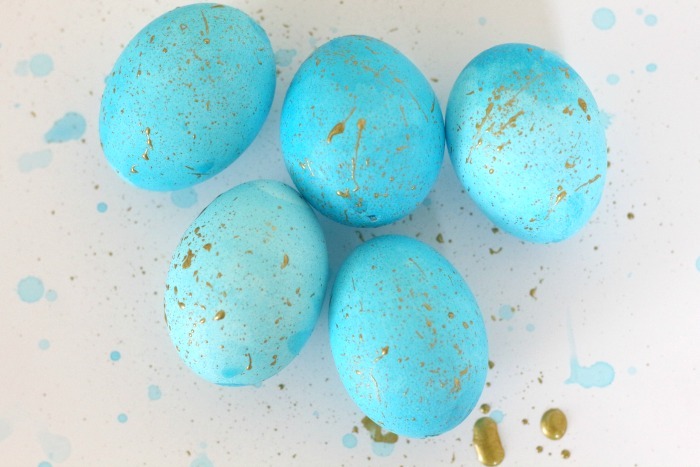 Once you are satisfied with one side, let the gold paint dry and turn the eggs over. Repeat on other side. Tip: don’t use too much gold paint, you want just enough to achieve the effect. We’re not going for Jackson Pollock. P.S. The 24 egg whites and yolks have been saved and will be used for omelets, scrambled eggs, french toast, Mexican Frittata… hello Omega 3! 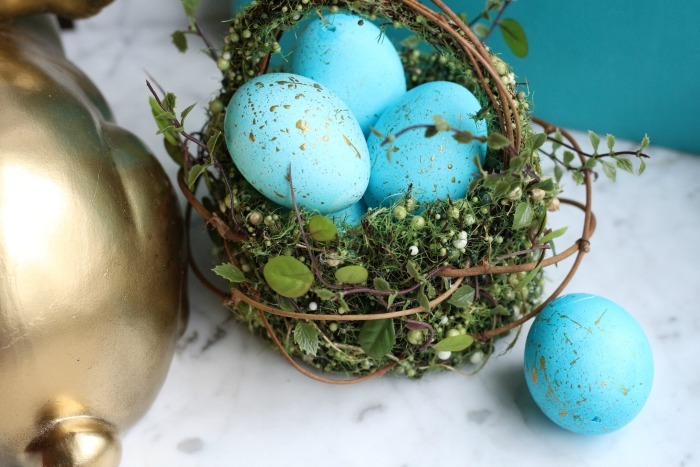 I needed some ideas for what to do with the eggs, here is a link to Huffington Post’s The Only 40 Egg Recipes You’ll Ever Need – there are some really delicious looking ones!